Submarine Nordkaparen | Maritiman | Maritime Museum in Gothenburg. Join us below the surface of the ocean! The Nordkaparen is a Draken class submarine, which is the longest class of submarines Sweden has ever had. The Nordkaparen was built at Kockums Mekaniska Verkstad in Malmö and delivered to the Swedish Navy in 1962. The main difference between her and earlier types is the stern, which was streamlined and fitted with a X-rudder. The Nordkaparen also had a single large, slow-moving propeller which ran more quietly than the dual propellers used before. She was also fitted with a wire-guidance torpedo system. The torpedoes were stored in a revolver magazine, which simplified and reduced the time for reloading the torpedo tubes. The Nordkaparen is also fitted with a torpedo crane on the foredeck for salvaging torpedoes used in exercises. Please visit our friends association Västklubbens Ubåtsklubb Nordkaparen for more information. 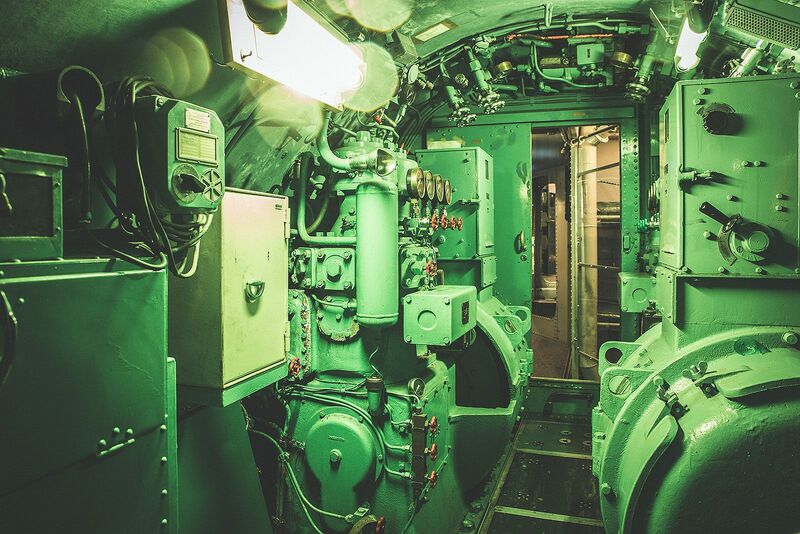 2014 saw the premiere of the new permanent exhibition Life beneath the waves, which provides an insight into life on board a submarine that patrolled Swedish waters during an era of iron curtains, the arms race and the threat of nuclear war. Climb down and experience the claustrophobic spaces and the smell of the diesel-electric engines. Get a feeling of what it was like to dive 150 metres straight down into the depths of the ocean. Listen to the characteristic sound of the hydrophone which warns of unknown underwater vessels and torpedo attacks. Dare you sign on? Speed 11 knots in surface position and 17 knots beneath the surface. The ability to travel under water has long been something to arouse fantasies, dreams and stories among people. However, serving on a submarine is rather different to how it appears in Jules Verne’s novel Twenty Thousand Leagues Under the Sea. For a start, there are no windows to look out of... The purpose of a submarine is to be able to secretly collect information in a foreign power’s waters, or about a foreign power in your own waters. In addition, submarines can also be used to sink enemy ships.